I recently challenged myself to create a sweet treat that my employees, with all their dietary issues, could eat. The requirements were that the treats had to be gluten-free, soy-free, nut-free (except almonds), banana free, minimal sugar and vegan of course. 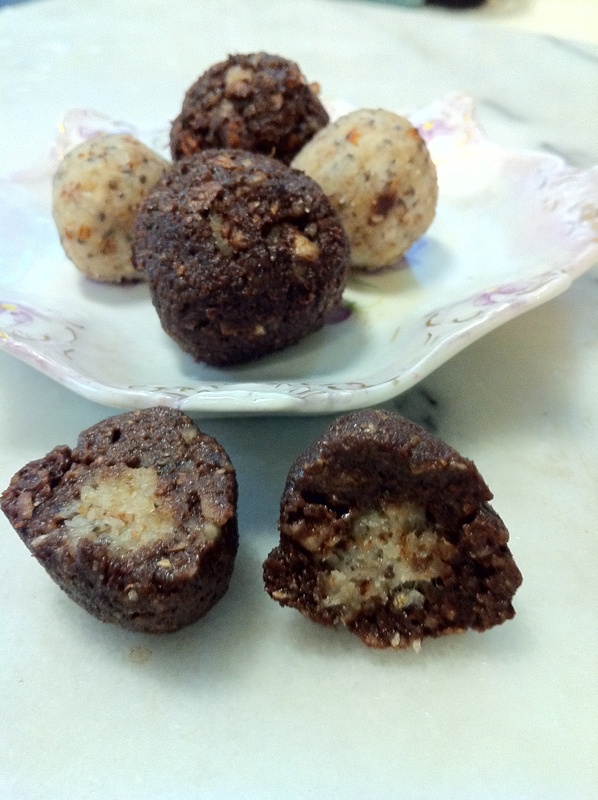 After some thought I came up with the cocoa truffles. After making the cocoa truffles I had leftover coconut filling that I opted to roll into truffles on their own, but they were missing something. I decided to roll them in cinnamon and sugar and they came out delicious. Hubby and the little vegan preferred them that way and kept all of them for their afternoon snack. Speaking of snacks, these would make a perfect after school snack! I’d also like to give a special shout out to Melissa Fitton at Loves to Eat Vegan, who sent me my box in the vegan food swap (hosted by The Verdant Life) I participate in. She sent me coconut nectar which I had never used. I love it!!! Mix chia with water and set aside for 15 minutes. Add coconut, oil, nectar, and chia seeds. Turn processor on until the mixture forms a ball. You are now ready to make the truffles. 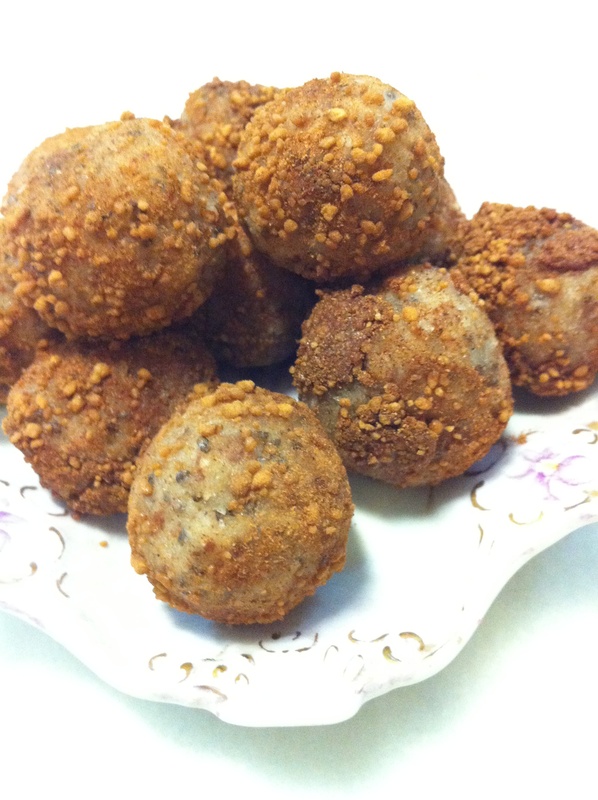 Using a rounded teaspoon of the cocoa mix, roll it in a ball. split in half and stuff with approximately a 1/4 tsp of the coconut mixture. Seal ball back up and roll so it is smooth. Repeat until you have used all cocoa mixture. Eat as is or refrigerate. Had I known how good these were going to be I would have made sure they were more evenly coated for the picture! Mix sucanat, cinnamon and nectar together. Roll coconut mixture into rounded teaspoons. Roll in cinnamon mixture. Enjoy. Gallery | This entry was posted in dessert, Gluten Free, Raw. Bookmark the permalink. That’s a great result. It’s always a challenge with so many dietary requirements to consider. Think I’ll try making a nut free version of these, using sunflower seeds in place of the almonds. Sadly nuts and I have never been friends but I do find sunflower seeds to be a good substitution. You are welcome! I would love to hear about how it comes out with sunflower seeds.